The property sector has some way to go unless the current supply of high-end condominiums and the various en bloc sales of both commercial and residential units are mopped up. WELL INTO the second half of last year, a friend tossed around the idea of buying a property. At the time, the outlook for the world economy was rather bleak. Initially, the friend looked at high-end landed housing with variations of the gated and guarded concept. Next were various high-end condominium projects around the KLCC area. For three to five months, nearly every weekend was filled with visits to housing projects and talking to agents specialising in different areas and market segments. It is one way to learn a thing or two about the property market. Agents, homeowners, bankers and developers will give you different views. All of them want to meet certain targets and the outlook for the property market for the coming year is going to be challenging. Malaysia’s economy may have turned the corner, but the sector has some way to go unless the current supply of high-end condominiums and the various en bloc sales of both commercial and residential units are mopped up. Landed units are expected to do well going forward. Because most developers, if not all, have deferred projects the past year, they will be busy trying to get you to part with your money or take up large loans this year. A number of them are planning launches this year but are keeping things pretty much under wraps as they wait to see how things pan out. Developers will continue to work with banks to offer innovative financing packages. For example, a condominium developer in a very dense location is offering units for a small downpayment and the rest to be paid after five years. It takes three years to complete a condominium project. The developer is offering five years as a carrot because that neighbourhood serves the tenancy market and rentals are declining. Because expatriates have been recalled in the wake of the financial crisis, owners have been left with vacant units. It is, therefore, a gamble that in five years, the foreigners will be back. Coupled with that is the low 2% fixed deposit rates. These are the push and pull factors. In the condominium enclaves of KLCC and Mont’Kiara, prices have come down 25% from their peaks. An analyst, who wished to remain anonymous, expects prices to ease further this year. Traipsing around the KLCC projects reveals that developers are giving double-digit discounts in the primary market for some of the most prestigious and attractive projects in the Klang Valley, if not Malaysia. They have to do this because as long as the property is not sold, they are left with a holding cost. Added to that is the huge number of vacant units. There is an existing supply of about 5,700 units in the KLCC area and its vicinity and an additional 5,800 units are expected to come onstream in the next two to three years. “The KLCC vicinity caters mainly to the expatriate market, but as long as the West remains in the doldrums, the multinational companies will hold back on sending their people here,” the analyst says. However, it must be noted that the interest in KLCC properties is atypical because the area has several projects that boast unique features. 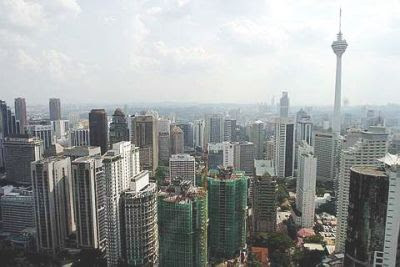 Rentals in the KLCC area, which hovered between RM4 and RM5 per sq ft early last year, may continue to soften and fall below RM3 per sq ft as more projects are completed in 2010 and handed over to buyers, says an agent who specialises in that market. “Tenants had been asking landlords to lower rentals last year. They are expected to do so this year; otherwise, they may just move to the next completed condominium,” he says. Notwithstanding the glut there, developers continue to be enchanted with the view of the Petronas Twin Towers. UOA is expected to launch Binjai 8 this year and Ireka Corp Bhd has bought some along Jalan Kia Peng, which is a stone’s throw away from the iconic location. Says an industry observer: “We are more positive about owner-occupied projects, preferably landed units.” He notes that Mont’Kiara is already a very dense neighbourhood, while the KLCC market is generally for high-end living. Hence, he expects the overall sales to be quite sustained for the residential sub-sector this year. Nevertheless, he made a distinction between landed and high-rise projects. An agent specialising in Damansara Heights says there are few sellers there. “There is a healthy demand for landed units here,” he says. Prices of SPPK’s Seri Beringin, mostly semi-detached units, have been holding up well throughout the difficult months of last year and are expected to remain so going forward. In some of the upmarket areas like Bangsar and Damansara Heights, future supply is said to be limited. In the commercial sub-segment, the story is slightly different. There is a clear oversupply of office space. Several weeks ago, Kuwait Finance House (KFH), which has been on an acquisition binge in Malaysia, called off the RM920mil acquisition of Menara YNH in Jalan Sultan Ismail, Kuala Lumpur. He adds that prices above RM1,000 psf are difficult to achieve in the near term in view of the large incoming supply of office space over the next three years. His views are supported by the more than 20% price reduction seen in the sale of Menara Citibank from RM1,000 psf to RM828 psf following the termination of the acquisition by IOI Corp Bhd in November 2008. Another aborted sale was that of Sunrise Bhd’s MK 20 in Mont’Kiara, Kuala Lumpur to Singapore’s Capita-Land. As prices of commercial buildings take a little tumble, so will rents. The rental market practically screeched to a halt last year. Many of the tenancies secured last year? were the result of negotiations that took place the year before. This will be a better year, but it will be a competitive market, with tenants doing a lot of shopping around. The Petronas Twin Towers are both nearly 100% occupied and this is spurring the authorities to consider building other iconic sites in Kuala Lumpur to put Malaysia on the world’s real-estate map and give the economy a jump-start. Two possible sites are being considered – the vicinity of Stadium Merdeka and the Matrade Centre in Jalan Duta-Jalan Kuching. I know I will never see another year like 2009. I doubt I want to. We entered the year feeling like schoolboys after a mass caning. At least seven major deals had been aborted including the sale of Menara Citibank, and with buyers in full flight, we were wondering when the pain would end. First indications of resilience were seen when the top-end condominium market refused to crash. Come May and June, we were asking ourselves where all the fire sales were. Why hadn’t all those foreign speculators cashed in their chips and led the stampede for the door? The One KL condominium project near KLCC was completed mid year and most buyers clearly opted to hold on to their investments. In the same period Eastern & Oriental Bhd launched the first tower of its St Mary Residences serviced apartments with unerring finesse and met with immediate success. Confidence returned and cashed-up developers began scouting for new sites. The subsequent re-introduction of real property gains tax plus a huge pipeline of new projects will continue to hold the market in check. Buyers are going to be very selective and looking for value for money. The luxury condo market may not be out of the woods but it now has its bright patches. For example, prime suburbs such as Bangsar, Damansara Heights and Bukit Tunku are subject to tight planning controls over new high-rise development and those that are approved may enjoy some premium value. Office rentals peaked at the end of 2008 and have since softened moderately by about 15%. The market was at a standstill in the first half of 2009, with tenants in the sidelines, waiting for signs of stability in the global economy. The Icon and G Tower neared completion, both excellent office buildings and each offering about 500,000 sq ft of space on Jalan Tun Razak, and we watched to see how they would fare. Recently, both have announced some lettings and I can only say that the six months running up to completion of any speculative office building is invariably the most stressful; one has to stay focused and have faith in the future. In fact, the new supply of office space over the next three years is not excessive, and while rents may remain competitive in 2010, the medium-term outlook is good and as always, better property management will encourage better tenant loyalty. Last year, GIC were fortunate to achieve their sale of Menara Stanchart at a reported RM950 per sq foot (psf) just before the crash. Other sellers were not so lucky and YNH Property Bhd’s massive office sale to Kuwaiti Finance House at a reported RM1,258 psf have been aborted. Despite weakening rentals and slightly higher yield expectations, we see office capital values remaining steady and generally ranging between RM800 to RM1,100 psf in 2010. It has been a period of consolidation in the retail sector and average occupancy rates of 42 selected malls in the Klang Valley dipped slightly to 92.3%, while rents were stable. Fortunately future supply is moderate, with only 4.28 million sq ft being added to the existing inventory of 40.7 million sq ft in the next three years. We may see an extensive renovation at the 1 Utama shopping centre in 2010 and the major complexes will continue to go from strength to strength, supported by the country’s young demographics. The end of 2009 has been highlighted by the surprise announcement of the re-sale of the Bok House site at a record RM2,200 psf. The clear message is that the market will always continue to experience fluctuations, being either the normal seven to 10-year cycles resulting from development activity; or from major external impact such as we saw last year. Events in Dubai have shown that there is no such thing as a straight line progression. In the medium term, economic and population growth will support a steady appreciation in values and bring its rewards. In property, market knowledge, timing, and holding power are the keys to success. ·Chris Boyd is executive chairman of Regroup Associates Sdn Bhd property consultants. 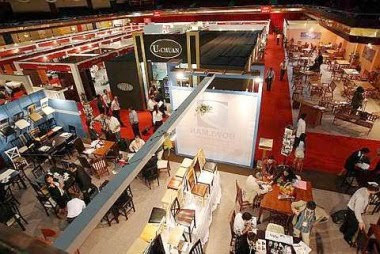 The Malaysia International Furniture Fair has been held in multiple locations in recent years due to the lack of space. MALAYSIA has some of the finest exhibition and convention centres in the region, but it needs to beef up its MICE (meeting, incentive, convention and exhibition) sector if it wants to garner a larger slice of the regional exhibition and convention market. There seems to be two schools of thought on how to get this done. One side believes it can be achieved by making full use of the conventions that we already have. Others, however, believe there is a need for more convention space. Association of Valuers, Property Managers, Estate Agents and Property Consultants in the Private Sector, Malaysia (PEPS) president James Wong believes there is already sufficient convention and exhibition space, especially within Kuala Lumpur. “Even the existing ones, like the current Matrade (Malaysian External Trade Development Corp) centre, is under utilised,” he tells StarBizweek. Among the more prominent exhibition venues in Kuala Lumpur are the KL Convention Centre (KLCC) (9,710 sq m), the Putra World Trade Centre (PWTC) (23,504 sq m) and the Matrade Centre in Jalan Duta (13,000 sq m). Wong believes that the country’s convention centres are just under-promoted. “The main challenge that we face is the lack of marketing. We do have good convention centres but we’re not doing enough to promote Malaysia as a MICE destination, and we’re losing out to countries like Singapore, Thailand and Hong Kong,” he says. Despite Malaysia being known as a food haven, not enough is being done to promote it, Wong adds. Another exhibition centre that is not well marketed is the Putrajaya International Convention Centre (PICC). It boasts state-of-the-art design and facilities but is very under-utilised, says an industry observer. Recently, the International Trade and Industry Ministry (Miti) said Malaysia needed a large exhibition centre to boost its MICE sector. Miti secretary-general Tan Sri Abdul Rahman Mamat was quoted in a news report last month as saying that by having the relevant facilities, Malaysia could promote not just its MICE sector, but the tourism industry as well. The statement was in reference to the proposed new Matrade Centre that will be built at Jalan Duta by the Naza Group. Phase one of the project will comprise a 90,000-sq m expo centre on 13.1 acres, which is set to be the largest exhibition and convention centre in the country. The construction of the new exhibition centre will bring the total exhibition space in Kuala Lumpur to more than 130,000 sq m.
Minister Datuk Mustapa Mohamed reportedly said the new centre would be ideal for hosting very large-scale exhibitions that existing centres in Malaysia could not accommodate, such as the Defence Services Asia Exhibition and Conference, Malaysia International Halal Showcase and International Trade Malaysia. In a news report last month, Malaysian Association of Convention Exhibition Organisers and Suppliers (Maceos) president Jonathan Kan said he was supportive of the Government’s call to have more convention space. In the report, he said Malaysia had only hosted 3,418 international events exhibitions and conventions in 2007, less than half of that organised in Singapore during the same period. Kan said the total available exhibition space in Malaysia currently was about 46,214 sq m, which was about 37% of Singapore’s total exhibition space of 124 000 sq m.
The report claimed that Malaysia was ranked among the lowest in the region in comparison to Hong Kong’s 389,000 sq m, Bangkok’s 210,000 sq m and Dubai’s 108,538 sq m.
Dr Yeah Kim Leng agrees that the MICE sector is in a good position to be a growth industry. RAM Holdings Bhd chief economist Dr Yeah Kim Leng agrees that the MICE sector is in a good position to be a growth industry, but feels that having more space is not necessarily the way to go. “Places like the PICC is under-utilised. We need to beef up promotions and encourage regional and international conventions if we want to make Malaysia a MICE hub for Asean and even Asia,” he says. Malaysian International Furniture Fair Sdn Bhd (MIFF) senior manager Karen Goi, meanwhile, feels Malaysia lacks convention space. The company has been forced to hold its annual MIFF in multiple locations in recent years. She says a typical furniture fair requires a gross floor space of at least 80,000 sq m. “Having it in just one location would make it very convenient for our exhibitors and cheaper to organise. Having it in three locations means triple the cost. Managing transportation for multiple venues is also difficult,” Goi adds. Datuk Aishah Ahmad is quite satisfied with the convention space available. Malaysian Automotive Association Datuk Aishah Ahmad says the association is quite satisfied with the convention space available based on its experience organising the Kuala Lumpur International Motor Show every few years. “We often have it in PWTC. With multiple levels, it is enough for us. It’s ideal also because of its easy to access via public transport,” she says. KUALA LUMPUR: Malayan Banking Bhd (Maybank) kicked off the new year by launching two mortgage packages – new MaxiHome and MaxiShop Fixed Rate – which offer a variety of three, five or 10-year fixed rates. “These two exclusive packages are offered from Jan 1 to June 30, 2010,” head of consumer banking, senior executive vice-president, Lim Hong Tat said in a statement. The MaxiHome package is aimed at customers seeking interest rates stability and sustainable cashflow during the initial first few years of property purchase, with less worry on base lending rates (BLR) fluctuation in the near future. The package offered the best in town for fixed-rates home loans starting as low as BLR minus 1.8% for property under construction and completed properties, Lim said. As for the MaxiShop, rates are as low as BLR minus 1.40% for those under construction and for completed properties. Lim said the fixed rates allowed property purchasers the option to select a fixed-rate scheme which best suited their financial needs for a given period of time before the loan switched to variable rates pegged against the BLR, upon expiry of the fixed-rate tenure. The East Coast Economic Region (ECER) will focus on bringing in more domestic and foreign investments in 2010 while increasing private sector participation within the region. ECER Development Council chief executive Datuk Jebasingam Issace John said ECER has already attracted a total of RM26 billion in expressed and committed investments, from both local and foreign sources. "There are several existing projects within the ECER Special Economic Zone (SEZ) that investors might find highly lucrative yet safe for investment such as Malaysia’s first fully integrated plastics and polymer park, the Kertih Polymer Park (KPP) which is now ready for occupancy within its 140-hectare land area," he said in a statement today. Set up to promote a plug-and-play concept, Jebasingam said KPP will tap into the potential synergies from integration with the nearby Kertih Integrated Petrochemical Complex in Terengganu. The park, which has drawn immediate commitments of RM565 million in investments, is expected to be fully operational in 2015. Another area that ECER is focusing on is the Pekan Automotive Industrial Park, with planned upgrades in infrastructure and landscaping as well as the setting up of a central marketing centre in 2010. "As a whole, the Pekan Automotive Industrial Park is expected to generate over RM4 billion in investments throughout its four stages of development and create a total of 10,580 jobs," Jebasingam said. Meanwhile, efforts have been made to attract investors to participate in key viable projects outside the SEZ, which would act as suppliers of feedstock and to support the development of projects within SEZ. This includes projects for the tourism and agriculture clusters. For agriculture, the Muadzam Shah Cattle Research and Innovation Centre will be built in May 2010 to accommodate 1,300 breeders and bulls as a means to reduce dependency on imported cattle stock. Meanwhile for tourism, ECER has designated some 106 hectares in Teluk Bidara, Dungun to be built with high-quality hotels, resorts and chalets. To boost the city’s tourism pull, Kuala Terengganu city centre’s construction as an integrated waterfront heritage city will begin within the second half of 2010. To enhance the region’s natural tourism resources, Gua Musang and Kuala Krai will be developed as an eco-tourism destination, forming a part of the Lanchang - Kuala Lipis adventure trail and Kuala Gandah Elephant Sanctuary in Pahang into a world-class elephant conservation and education facility. There is still hope for salvaging what is left of Bukit Sentosa, Bukit Beruntung and Prima Beruntung to make it a second Petaling Jaya and provide a chance for the local council to collect about RM24mil in backdated assessments. "The council does not spend any money. It is a win-win situation for the council, residents and shoplot owners"- TUKIMAN NAIL"
Hulu Selangor District Council (MDHS) president Tukiman Nail said there was a proposal by a company to revive about 5,000 shoplots in these three areas. The company has proposed to bring in investors from countries, like China, to set up businesses in the area. “It has agreed to repair the buildings, put up streetlights and arrange for the supply of water and electricity to these lots. “This is a good idea,” he said, adding that there were not many companies willing to develop those areas. ‘’Many shoplot owners had lost money when they started their businesses in these three areas. It is a bane to the state,” Tukiman said at the MDHS full board meeting in Kuala Kubu Baru on Wednesday. Tukiman said the council would approve the proposal, provided it was given the green light by the Commissioner of Buildings committee which is part of the council’s committee. ‘’The best part is that the council does not spend any money. It is a win-win situation for the council, residents and shoplot owners,” he added. Councillor Kaevan Raghvan suggested the council study the proposal and look into the legal aspects. Former councillor Mohd Ridzuan Idris, who is a consultant to ESPI Jaya Sdn Bhd, the company that submitted the proposal, was hopeful that the council would be able to collect the backdated assessment within the next five years. Mohd Ridzuan said the council was owed RM36,472.457 in backdated assessment throughout Hulu Selangor for 2009. Of this, 63% or RM23,1776.385 was from Bukit Beruntung, Prima Beruntung and Bukit Sentosa. ‘’The council will have to increase this figure by 30% annually for the whole of Hulu Selangor,” he added. Describing the situation as “very critical”, Mohd Ridzuan said the council should stop the “bleeding” and approve the proposal as it would benefit all parties. “If the council approves the proposal, efforts to bring in the investors and restore the shoplots could begin by February. On another issue, Tukiman said the existing landfill in Sungai Sabai, Kalumpang, was almost full and the council had identified another area in Kalumpung for a future dumpsite. There is another landfill area in Bukit Beruntung. Councillors Santokh Singh, Kaevan and V. Perumal also debated on the state directive on a parking issue in Kuala Kubu Baru town, concerning whether a tyre shop and clinic should be charged parking fee as they prevented motorists from parking in front of their premises.